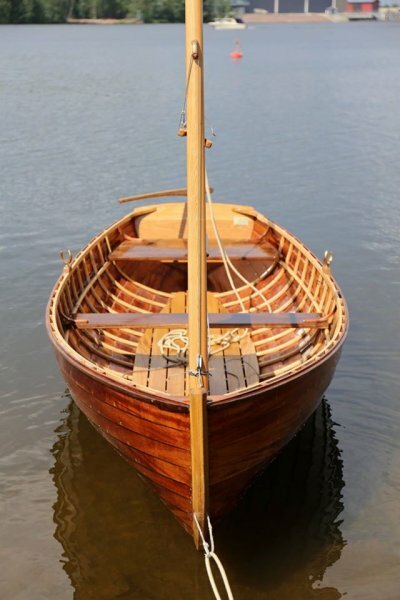 Columbia Dinghy. 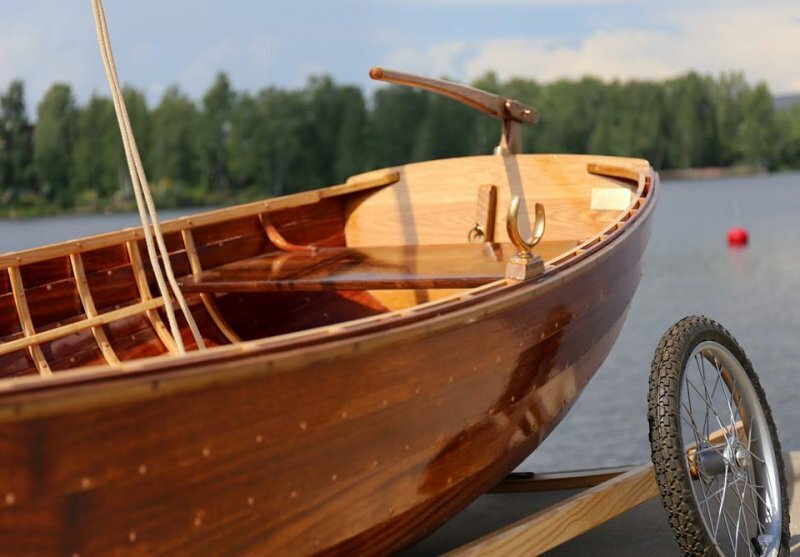 Classic lapstrake dinghy from early 1900’s designed by Herreshoff. 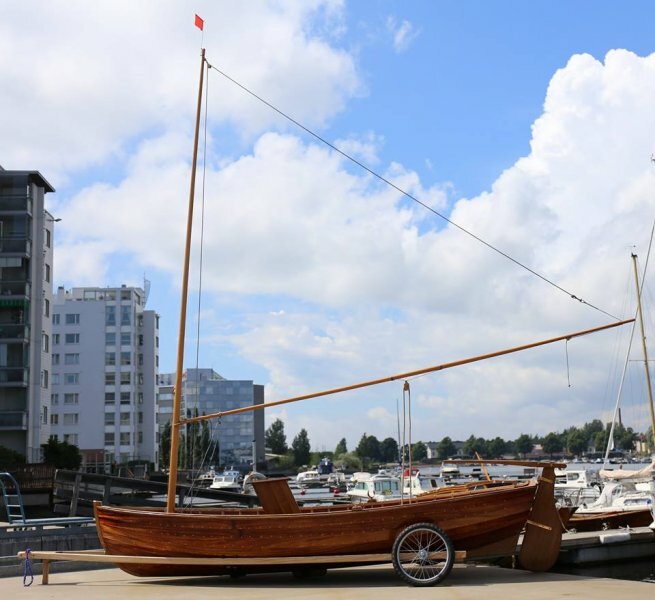 Dinghy is 11′6″ long, 4′ wide and weights about 150 pounds and has some 60 sq feet mainsail by WB Sails (Helsinki, Finland). Copper rivet planking is from khaya, stern, transom and keel from white oak, bent frames from ash and seating from walnut. Other fastening is mainly bronze. 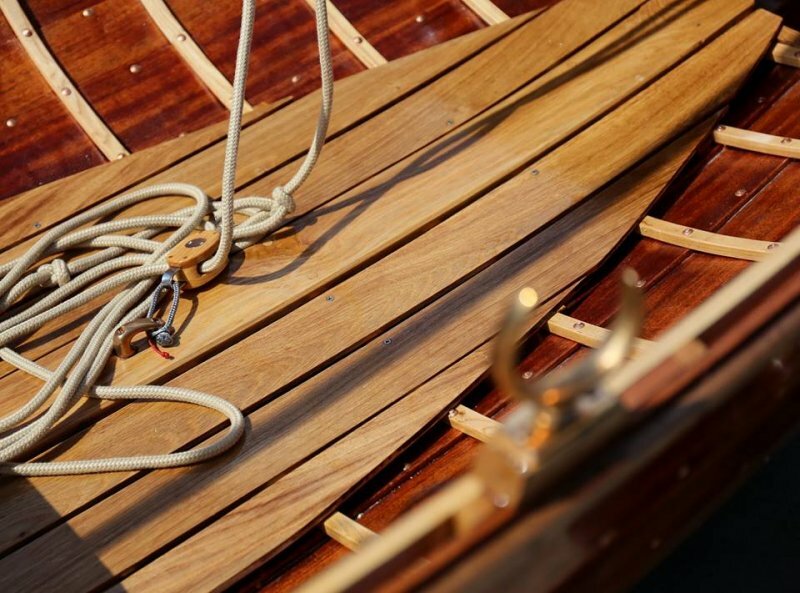 Bronze blocks, oar locks and rudder gear are from DAVEY & Company, London. 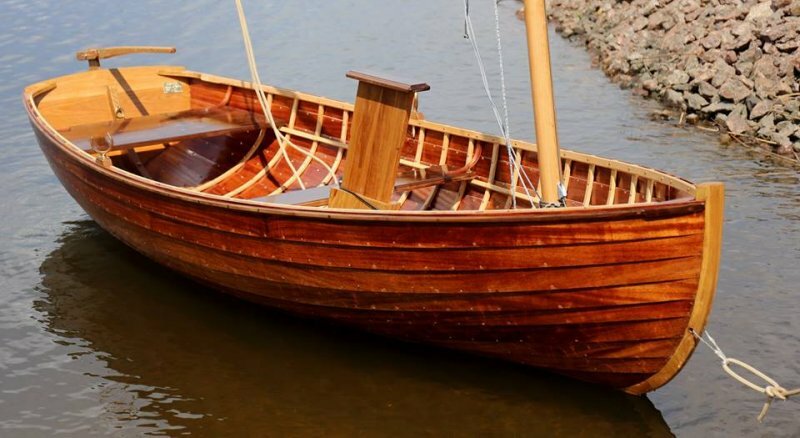 The boat is our first new build at Miilu-Boats Ltd. established March 2016.